The Napier Harrier Club was founded in 1934 and is a family orientated club with over 100 members ranging in age from 7 to 70 and caters for runners of all abilities from beginners to Nationally ranked speedsters. During 1984 the club joined Greendale Tennis and Taradale Cricket to form the Taradale Sports Association. Together we built new clubrooms in Taradale Park, with vehicular access off Symons Lane in Taradale, Napier. This wonderful facility includes changing rooms with excellent showers, a kitchen and a licenced bar and is the focal point of most of our activities. Our post race afternoon teas are legendary! The club holds oganised runs every Saturday from April to October, rain hail or shine. We usually assemble at the clubrooms or the race venue at 1.45pm and begin action at 2pm. Every Saturday through the season involves either a race or a 'Group Run'. The first half of the season consists of mainly cross country or off road races. The latter part of the season is mainly road races. The courses are many and varied, and generally no two events will be over the same terrain in the season. 'Group Runs' are low key training runs where runners of similar ability group together to go out for a training run. In addition to our club programme there are also races out of town at Provinicial or National level that we attend during the year. 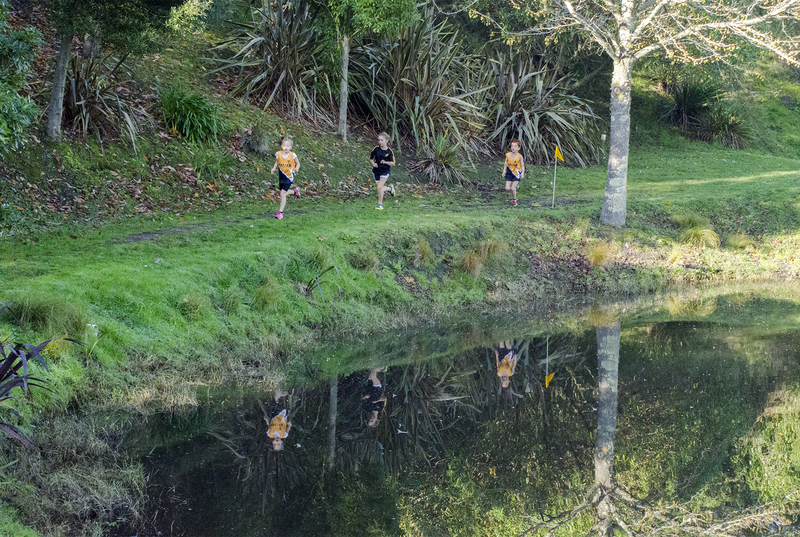 These may include the Provincial championship races over both Cross Country and Road, the Dorne Cup cross country races in Upper Hutt, the North Island Cross Country Champs in Taupo, the Forest Relays in Rotorua and the National Road Relay Champs.